Hector is a large coal hopper. He is colored black and has his name on both sides of his car in white letters. 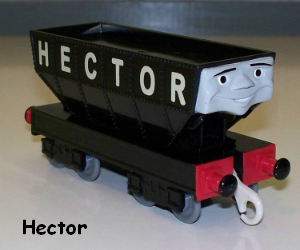 Hector’s name stands for Heavy Engineered Coal Truck on Rails. 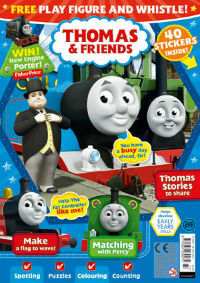 He is really good friends with Thomas and James. Hector is very helpful to Sir Topham Hatt’s Railway and is known carry more coal than any of the other trucks on the island. Hector made is first appearance in Season 11 called Hector the Horrid. This episode details Hectors fear of being filled with too much coal because he didn’t want the others to call him Hector the Horrid. Hector is based from real hopper cars which transports coal, grain, ore and other bulk commodities. 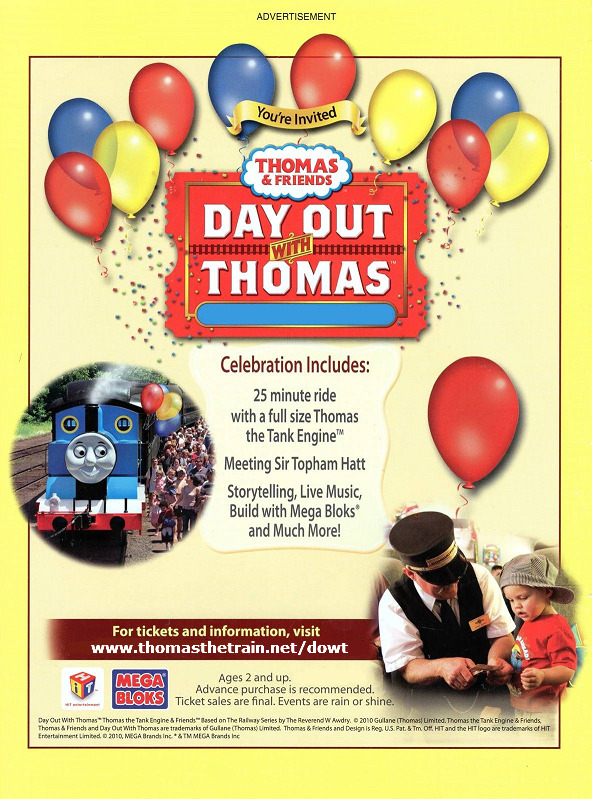 Thomas & Friends Wooden Train HECTOR!